Flights, hotels and tickets for U2 in Honolulu? Place your Bid! Bono has been in the US this week preparing for today's launch of (RED). 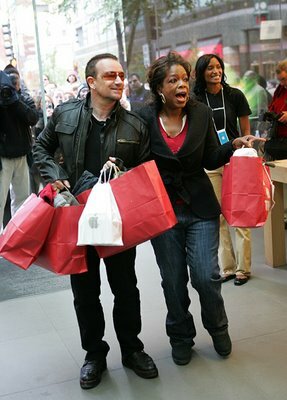 Catch Bono on Oprah tomorrow, as Chicago turns (RED) and America gets to hear all about it.